Evolved from the age of street racing, the world of GRIP is brutal and cut-throat to the core. To win the race is never enough, greatness comes from the journey and the trail of merciless destruction you unleash upon your rivals along the way. Scale walls, ceilings and anything else you can get your tyres on to... as you master tantalising tracks, tricks and perform mind-blowing stunts to race your way across the cosmos. Customise your vehicle, utilise devastating weapons and exploit a destructible environment to ensure not only victory, but the complete annihilation of your opponents. 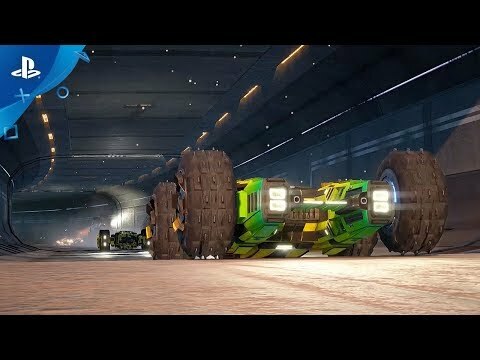 GRIP was released on PC, PS4, Switch and Xbox One 168d ago in the US and the UK. Notify me when GRIP is available.